December 27, 2017 | -by: Kevin George. While 2017 was a splendid year for the Email Marketing industry, 2018 is expected to be nothing less trendy. 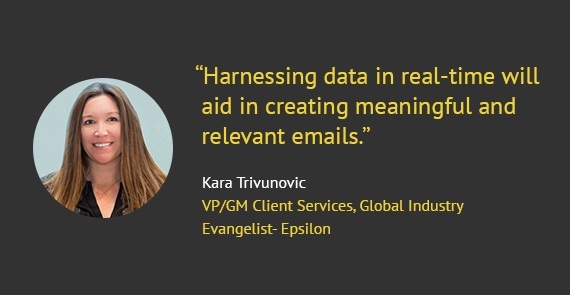 With interactivity, smart personalization, machine learning, and gamification to be more prominent in the coming year, there are no doubts that emails will engage customers in a smarter way and drive conversions for businesses. We asked a few experts from the email marketing industry about the trends and Email Marketing predictions for 2018 and here’s what they have to say! 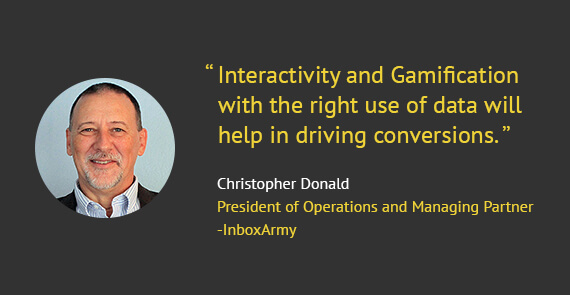 “I see more use of interactive emails and gamification to drive engagement and conversions. 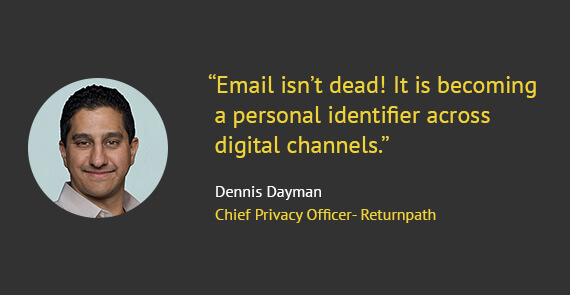 “I can still safely say that email isn’t dead. In fact, based on several studies like Adestra’s 2017 Consumer Digital Usage & Behavior Study we learned that consumers have, on average, 3.2 personal email addresses and 1.8 business addresses. Further, 4 in 10 say they use at least one of their addresses for email they’ll seldom or never open. 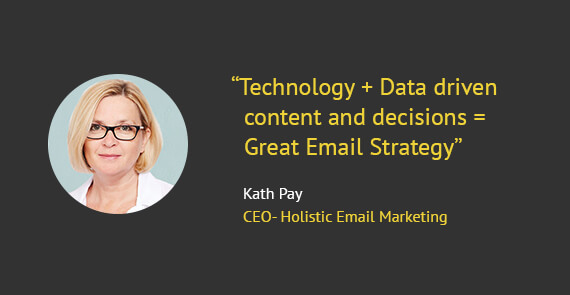 “Email marketers will lead with strategy and not technology. They will use the technology, combined with data and content, to deliver their strategy. Personalisation, automation, data-driven decisions managed and delivered by machine learning will influence design and copy immensely. Email marketers will be less focused on shiny toys and tactics and be more focused on delivering conversions through understanding what motivates their customers and delivering products/services/offers/content accordingly. “We will see more marketers adopting First-Person Marketing: using the email address to identify their customers across channels and incorporating data in their targeting and messaging. The more marketers who do this, the better off we all will be. 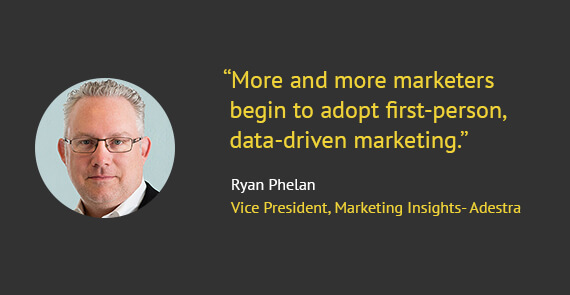 Data will become a great divide between successful and less-successful marketers. 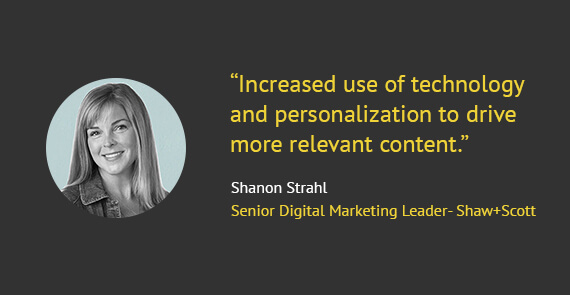 The pressure is growing on marketers who don’t adopt data-driven marketing, who are content to rely on batch-and-blast messages for their email revenue. These marketers will become digital orphans, falling behind their more successful competitors. “I think we’ll see that more and more businesses continue to migrate back from the single marketing suite to a best-of-breed marketing stack. Not only is the martech landscape constantly changing, no business is a ‘one size fits all’. 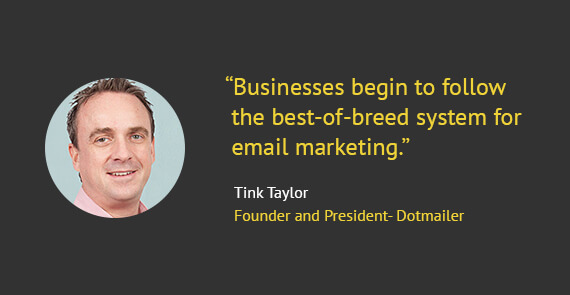 I think companies are beginning to realize that best-of-breed suppliers – especially in the email marketing space – are a much more cost-effective and stable option. For instance, at Dotmailer, all our time and resources go into making the platform the best it can be. We’re constantly growing our integrations, too, with the launch of Commerce Flow – enabling e-commerce businesses to easily connect to new innovative platforms such as Shopify and WooCommerce. 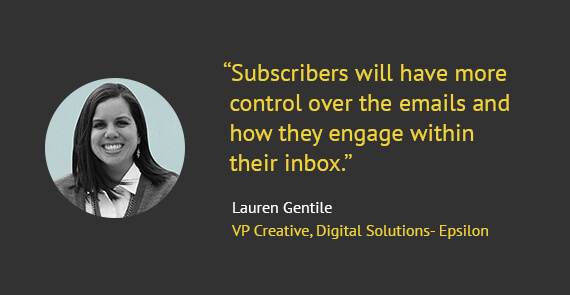 Use these predictions and trends as guidelines to plan your strategies for your upcoming email marketing campaigns. Need help with designing and coding emails and newsletters for your campaigns? Drop in your requirements at hello(at)emailmonks(dot)com and Monks will be happy to help.